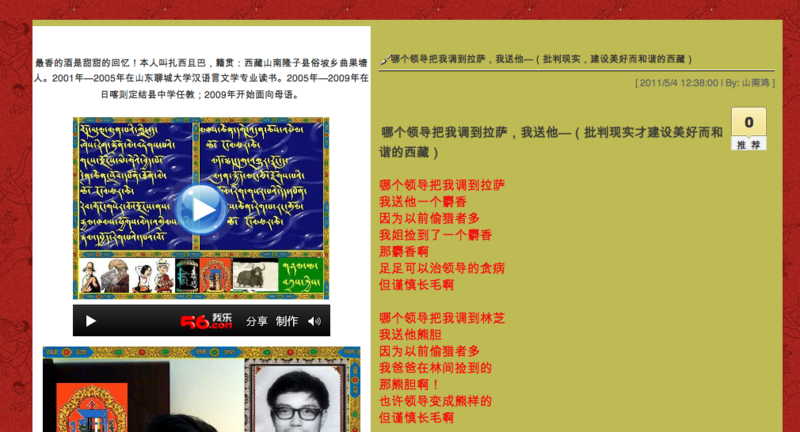 High Peaks Pure Earth has translated a satirical poem written by a Tibetan blogger and posted on their TibetCul blog on May 4, 2011. This satirical poem appears to be a commentary on corruption, currently a very hot topic in both China and India. In fact, this news article suggests that netizens in China are being inspired by figures such as Anna Hazare in exposing corruption. The poem makes references to “growing hair”. Taken literally, many Chinese people hold the prejudice that people who have a lot of hair are likely to be savages and barbarians. The references to musk and bear gall implies another habit of the Chinese, consuming certain parts of wildlife when they can afford to. The animal parts mentioned are very expensive, normally intended for Emperors or people in power for the sake of making themselves stronger or more virile. But too much of a good thing could cause unwanted results as well, as a lot of Chinese traditional medicinal theories go, including growing unwanted hair. 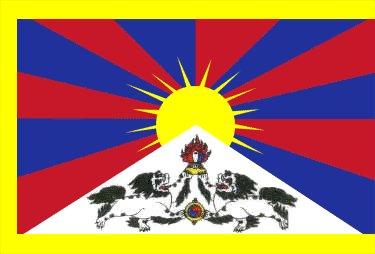 High Peaks Pure Earth readers who enjoy the wit in this satirical poem might like to revisit past posts such as “To All Those Longing and Hoping, Summer is Approaching,the Dragon Boat Festival has Arrived!” By “The Lost Curse” and “We Are Not Tibetan”.